The Boston Bruins knew they would have their hands full against their hated rival from the North- the Montreal Canadiens- winners of 10 of the previous 12 contests between the clubs. Make it 11 of 13. The B’s gave up an early power play goal, had a man advantage marker of their own wiped off the board in the second period and had some more costly mistakes from a young (and pretty mediocre) defense to drop to 0-2 on the season. Matt Beleskey found himself in the sin bin for a questionable high hit in the first period and David Desharnais knocked in a rebound to make it 1-0 on a play that was pretty much of a tone-setter, as Joe Morrow turned the wrong way on the shot and Kevan Miller was late getting to Desharnais. The B’s dug in and finished the period with effective play to keep it a one-score game. But, things came unraveled a bit in the second period when a bad neutral zone pass by David Pastrnak and bad decision to go for a line change allowed Alexander Semin and Lars Eller to break in on Tuukka Rask. When Matt Irwin and K. Miller converged on Semin, he hit Eller with a pass and he buried it to give the Habs a 2-0 lead. Ellen would strike again with his second goal on a feed from Alexander Galchenyuk (three assists) to make it 3-0. A turning point in the game happened when the B’s and Loui Eriksson thought he scored his first goal of the season while on the power play on a nice play to redirect a shot past Price. Unfortunately, the referee closest to the play immediately signaled to waive off the goal, citing contact by Patrice Bergeron to goaltender Carey Price. Claude Julien issued a coach’s challenge- the first in Bruins history since the NHL instituted the rule change this season, but the NHL, citing incidental contact by Bergeron, upheld the original decision. Beleskey later broke through against Price, when his attempted shot hit sliding Montreal defender Jeff Petry and deflected into the net. It was Beleskey’s first marker as a member of the B’s, giving him points in each of his first two games with his new team. Alas, the B’s had a parade to the penalty box in the third period, including a match penalty and five-minute major assessed to Ryan Spooner on a hit from behind to Massachusetts native Brian Flynn. Boston killed the penalties, but could never really mount much offensive pressure and Tomas Plekanec scored an empty net goal to make it 4-1, his 500th career point. Some late silliness and a Torrey Mitchell slew foot gave the B’s a major power play of their own with less than a minute left and Bergeron tallied for his first goal of the season making it a 4-2 game for the books. Of greater concern was a head hit that Brad Marchand took late in the third period from Boston nemesis Dale Weise. It did not look like an intentional hit, but Weise caught the shorter Marchand up high and he was down on his knees for a good 5-10 seconds before getting to his feet and struggling to the Boston bench. He did not return. If the B’s lose their top goal scorer and arguably most consistent forward at least in terms of finding the back of the net in the last four seasons, then this group is going to go deeper in the hole. We’ll hope for the best. At least the B’s didn’t roll over and die as other Boston teams have done in the past, but they did not play well enough against a team that is clearly better than they are. Fans had best be prepared for more games like this as the season goes on. Matt Beleskey- He scored his first goal in the black and gold and has played hard in his first two games. The guy is not a high-end talent, but despite having pretty average size, he plays bigger, hurling his body into opponents and going directly into traffic to make things happen. He chose Boston when in fact he could have stayed in Anaheim, a much better club on paper than the Bruins are at present. He wants to be here. Unfortunately, in a league where fans get far more up in arms over cap hits and economics, honest, gritty guys like Beleskey often bear the brunt of fan ire if they don’t come in and start scoring right away, so it’s nice to see that he’s been a consistent producer for a team that has scored just four goals in two games. 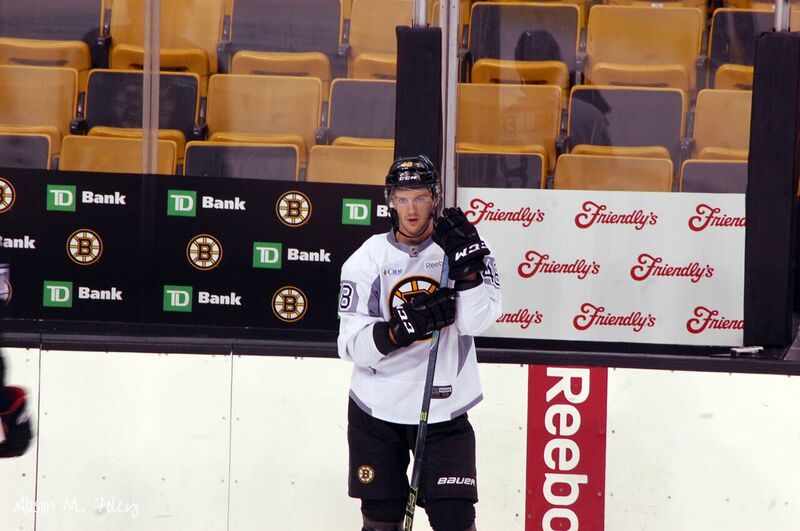 Colin Miller- The first player acquired in the trade for Milan Lucic to suit up for the Bruins is a keeper. He skates so well and has the vision and poise with the puck to make breakouts look easy. He’s a better defensive player than given credit for, and at least for one night, he looks like a real coup/get for Don Sweeney and Co. Julien would be foolish not to stick with C. Miller going forward and figure out ways to get him the puck. Yes, there will be some growing pains, but Miller does the things this Bruins defense as a whole is so lacking in- you can see it in the way he sees the ice and distributes the puck effortlessly. His first NHL goal/points are not long in coming. Torey Krug- For the second straight night, Krug played 23+ minutes and played a solid all-around game. Krug is justifying the faith the Bruins have in him and they’ll need him. He posted his first point of the year- assisting on Bergeron’s meaningless late goal, but Krug has not made too many visible mistakes with the increased playing time. In other words, on a defensive unit that has struggled in going 0-2, Krug has been the least of Boston’s worries. Honorable mention- Max Talbot- In the lineup because Zdeno Chara missed his second game with an upper body injury, Talbot played hard and with the energy of a veteran and a guy who knows he needs to demonstrate value added to this club. His play gave Julien food for thought. Yes, Talbot’s best years are clearly behind him, but he played with some intestinal fortitude tonight, going after Mitchell earlier in the game when he engaged in some shenanigans. The linesmen jumped in, but Talbot showed a willingness to stick up for his mates and this, given Mitchell was running around all night like a jackass. Matt Irwin- For the second consecutive game, the off-season free agent acquisition played poorly on defense. He was on the ice for two goals against, but Eller’s first of the night was particularly bad, as both Irwin and Kevan Miller miscommunicated and converged on the puck carrier Semin, leaving Eller open for the one-timer into the open side. He was also too slow in getting to the puck when Rask was off for an extra skater, and when the initial Montreal shooter missed the net, it rimmed around to Plekanec who put the game out of reach. You can’t exactly blame Irwin on that one, but his lack of foot speed really showed on that play. You hate to say it, but the guy has been a total train wreck in two games- it’s time for him to take a seat. It might help him to watch a game from press level 9 and see if he can get his head right. Realistically, though, he’s a fringe NHL defenseman who does not look at all capable of an expanded role at this level. David Pastrnak- His lazy, ill-advised neutral zone pass in a 1-0 game ended up in the back of his own net. Later on, he was guilty of another careless turnover, coughing up the puck to Galchenyuk behind his own net and forcing Rask to make a save in close. That kind of stuff is what Julien will point to when fans clamor for more ice time in Pastrnak’s case, but these are the things you have to live with when you roll with younger players. He’ll learn. 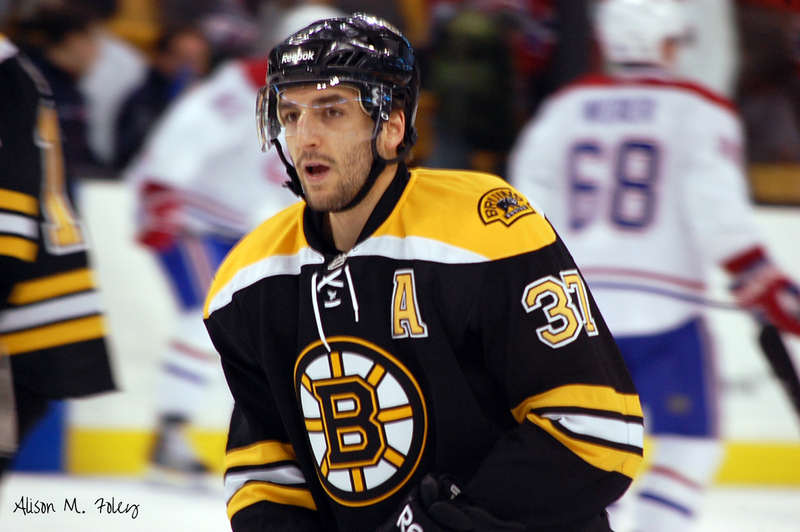 On the plus side, when they put him on the power play at the end of the game, he assisted on the Bergeron goal. Dan O’Rourke and Mark Lemelin- The referees were far too visible in this one for all the wrong reasons and were inconsistent in their calls. They wiped out a goal that probably should have counted, unless the NHL wants to go on record as saying that the defenseman shoving a forward into the goalie is now okay and constitutes valid goaltendender interference. No, we didn’t think so either. And, they blew it in the third period when they ejected Spooner for his hit from behind citing “intent to injure” but then curiously had no issue with Alexei Emelin’s earlier low-bridge (one could certainly call it dirty) hit on Bergeron, that could have been devastating if he connected with the B’s center’s knees. Fans just want consistency and these two didn’t really provide it tonight. Here’s hoping for better luck with the zebras on Monday when the Tampa Bay Lightning come to town. The Boston Bruins played their second preseason game of the exhibition schedule, getting both goals compliments of David Pastrnak in a 2-1 OT win against the visiting Washington Capitals. We got our first game look at new Bruin Matt Beleskey, who skated on a line with Czech Davids- Krejci (with both helpers on the goals) and Pastrnak. There wasn’t a great deal of flow to this one, and the game was scoreless in the first 40 minutes before getting some offense in the final frame. 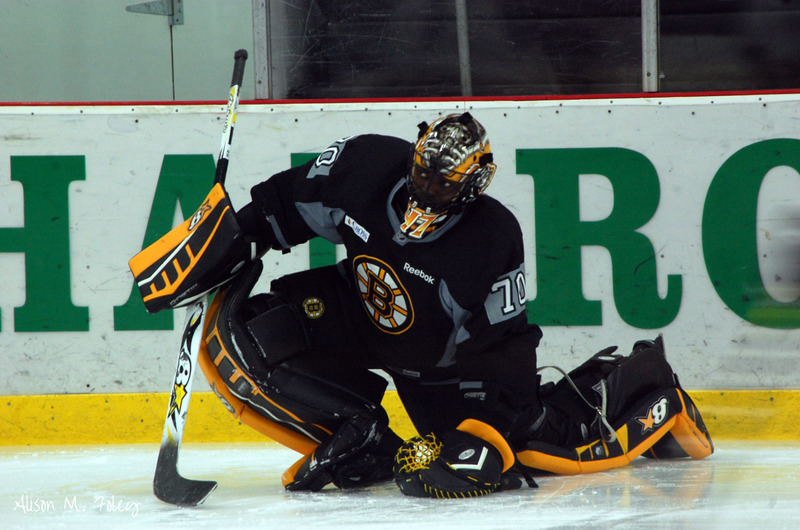 Malcolm Subban and Zane McIntyre combined to make 26 stops and secure the win, making the B’s 2-0 in exhibition play. Malcolm Subban- Solid outing for the 21-year-old, as he stopped all 17 of the shots he faced in 29:43 of action. He seemed to be a little hopped up at first, but settled in nicely and made one memorable shorthanded stop on Jay Beagle, showcasing his natural blend of quickness and power. Subban has come a long way from when he first turned pro and was all over the place technique-wise. He still plays deep in his net, but when you’re as fluid and fast as he is, it isn’t as much of a glaring deficiency as some would have you believe. Even with the 100 percent save percentage- there are still plenty of things to work on, and there’s no better way to do that than down in the AHL as opposed to sitting at the end of the Boston bench. Zane McIntyre- He was beaten on what appeared to be a screen by Nate Schmidt’s seeing eye shot during a Caps PP but other than that, the first year pro handled business, stopping 9 of 10 shots he faced. He’s a lot more together stylistically than he used to be, employing better economy of motion in his game and letting the puck hit him more than he did earlier in his junior and college careers. The NCAA’s top goalie has not looked out of place so far, but it’s pretty evident that he’s not ready to be an NHL backup and will benefit from the playing time and seasoning in the minors. Linus Arnesson- He looked very good in both rookie games and had another effective, unspectacular outing tonight. He’s a smooth skater who plays with a maturity and poise beyond his years when it comes to his own end. He understands positioning and can get the puck out quickly. I don’t see much in the way of an attacking defender who will put up a lot of points, but he can get up the ice well enough and will be able to evolve into an effective penalty killer because of his feet and defensive awareness. He is what he is, I think- just a solid defenseman who will give you a good effort and consistent, steady play. He doesn’t need to be rushed into the NHL lineup, nor should he be viewed as a real difference maker when he eventually arrives in Boston. Put simply- you win with guys like Arnesson, but fans should avoid making him into something he is not: a top-level two-way D.
Torey Krug- The Michigander was wearing an ‘A’ on his sweater and that will soon become a permanent accessory on his game attire. He’s skating with a lot of confidence and bringing that edge that is important for him even if he doesn’t possess ideal NHL size. With Krug it’s about smarts and effort- he’s getting better with his reads and making the right decisions under pressure, and nobody will outwork him for a puck, even if they might be able to win a physical battle. I could go on and on, but won’t- he’s going to keep improving and for those who haven’t figured it out yet- be a core contributor to Boston’s fortunes for a long time. He led all blue liners in ice time tonight with nearly 24 minutes and his regular season time will surely increase as he eases into that top-four role he’s earning each day with his work on and off the ice. Kevan Miller- If people are looking for excuses to write off this free agent find and former captain at the University of Vermont, Miller isn’t giving much room there. He played his brand of physical hockey, keeping things simple and preventing the Caps from getting much going offensively with some hits and good breakups. The Californian is a no-frills, bottom-pairing kind of guy, but he’s tough and cheap. He’s back after missing the second half of the year with shoulder surgery. Joe Morrow- I liked his game tonight. Morrow is at his best when using his piston-like stride to vault up the ice and push the offensive pace from the back end. He’s got to do a better job of hitting the net with that big point drive of his, but you can see the way he can make tough passes with relative ease and Morrow brings the much needed mobility and puckhandling skills to the defense if he can make the big club and stick. David Pastrnak- Scored Boston’s regulation goal with a flourish after taking a Krejci pass and beating Philipp Grubauer with a nifty backhand. He followed that up by scoring the OT goal in 3-on-3 play just 12 seconds in, securing the win. He’s tracking to be a special player- he’s got that rare blend of natural talent plus the attitude, work ethic and charisma to be a franchise presence in Boston. We saw it in flashes last year as a rookie. This time around, as long as he can stay healthy, he’ll score with more regularity, but the big breakout is on the short horizon. It’s hard not to get caught up in the hype with this kid (and he is a kid- just turned 19 in May), but if you’ve been around him for just 30 seconds, you can see why the B’s treasure him (and why, in 2017- they’ll be opening up the checkbook- big time). Anton Blidh- What is Claude Julien to do? This guy looks like the real deal for your bottom line right wing position, even with the veterans under contract. The Swedish sixth-rounder in 2013 brings a lot of speed, tenacity and relentless forechecking to the mix, even if he may lack the offensive toolbox to be a top-six forward at this level. He was grinding it out early, drawing penalties and attracting notice for his verve and finishing of checks when there wasn’t a lot of flow to this game. Because he can be sent down without being placed on waivers, chances are- Blidh (pronounced “bleed”) will begin the year in Providence. However, if he keeps playing like this, I wouldn’t be surprised to see him make the team as a 13th forward. Austin Czarnik- Carried over his strong showing at the rookie tournament in Buffalo in this one. Little waterbug is so fast, skilled with the puck but shows off the little things away from the puck as well that should endear him to the Boston and Providence coaches. As a player who was skipped over in the draft because of his size, he’s going to have to put in twice the effort, but if the early signs are any indication, Czarnik will be an immediate impact performer for Butch Cassidy and might even play his well into an appearance or two with Boston sooner than anyone thinks. With the team so deep with centers, his time might have to be down the road, but plenty to like here. Zach Senyshyn- He didn’t have any points tonight, but I continue to like with the big, eager winger brings to the table. With his long, loping stride- he’s rangy and gets up and down the ice so well that he can catch defenders flat-footed if they don’t watch their gaps with him. The Soo Greyhound just needs to keep things simple- take pucks to the net and do the things he’s known for and that got him 26 goals playing on the lower lines in the OHL. The more people who see him play, the less we hear about what a “reach” he was because you can’t teach his size or willingness. Alex Khokhlachev- It was a mixed bag for him. I thought he looked pretty poor on Boston’s first power play opportunity but he seemed to relax as the game went on and showed his talent off in flashes. Again- flashes aren’t enough, here- he’s got to find ways to produce and pointing to the linemates is just making excuses at some point. If you want to beat out the guys ahead of you on the depth chart, you have to leave the coaches with little choice but to keep you- has he really done that in the two games thus far? Not enough to the degree needed, in my view. David Krejci- If the B’s get this healthy version of their longtime top-2 center, then they’re on the right track this year. You figured he would come back hungry and motivated after last year essentially being a wash and he was on it tonight, with two primary assists on the only goals his team produced. Now, we’ve seen just 4 goals in two exhibition wins for the B’s, but in this one, you wanted to see some offense from the club’s top unit and they delivered. It’s pretty cool to think that when a young David Pastrnak was looking up at his room’s wall in Havirov and seeing a photo of Krejci pinned up there, he probably never imagined he would one day be getting the puck direct from his hockey hero. That one is just entering his prime and the other has a world of talent to take full advantage is an exciting thought for Boston fans. Justin Hickman- Dropped the gloves in the second period against Tyler Lewington and scored the takedown after some punches exchanged, but that’s the toughness and presence that the former Seattle Thunderbirds captain was expected to bring. His skill is a work in progress, and he’ll likely not be a major factor down in Providence this season as he’ll gravitate towards the grunt work as he gets acclimated to that level, but he skates well enough and brings the kind of physicality that the B’s value. Watch for him to develop into a Providence fan fave pretty quickly, and he’ll score some nice goals down there, even if they don’t come in bunches. 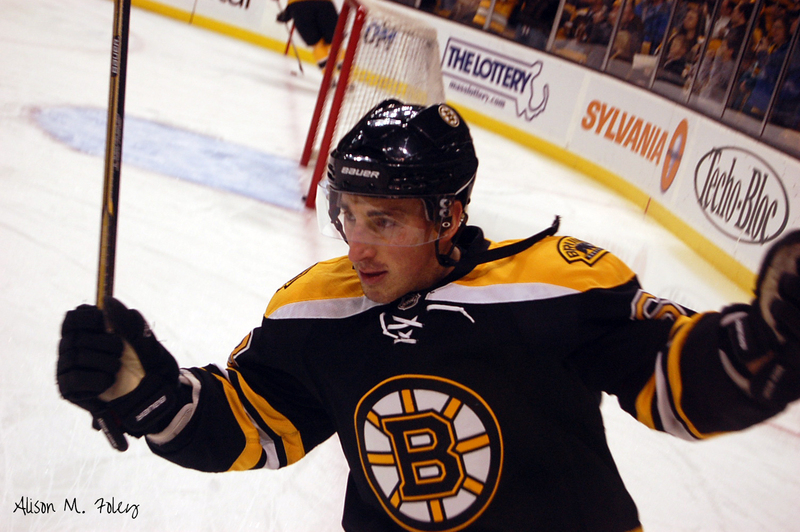 Frank Vatrano- He came close to scoring in the first when the B’s were on the PP with that shot of his…ooh la la. What can you say? The kid’s release and heavy, accurate drive is just sublime. He’s getting quicker and will round out the rest of his game as he’s allowed to develop in the minors. B’s just might have a real homegrown diamond-in-the-rough here. Boston Bruins training camp is in full swing after the rookies had their day in Buffalo over the weekend, going 1-0-1 in 2 exhibition games against the Devils and Sabres. Frank Vatrano certainly turned heads with his performance, but now, all eyes are on the B’s veterans who are back and looking to build on last year’s disappointing non-playoff finish. With that in mind, let’s get to your questions. As always- thanks for sending them along. I try to answer one per person, so if I didn’t get one because you sent multiple entries, try again next time. Honestly, I’m not sure there are many “dark horses” who are in line for a big opportunity this year unless the bottom falls out of things injury-wise. We’re getting a closer look at the three first-round picks from 2015 and they all look like they need to go back to junior. 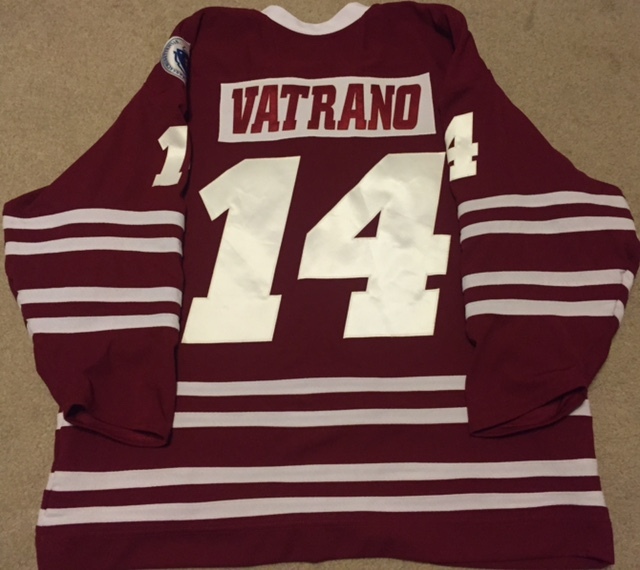 Based purely on the rookie camp, my dark horse is Frank Vatrano– the former UMass standout scored three goals in two games including the OT-winner against the New Jersey rookies when he helped to force a turnover deep in the Devils’ end, then cut right to the net where linemate Austin Czarnik found him with a shot he tipped home. If the B’s suffered an unusual rash of injuries or just wanted a shakeup up front for game or two, Vantrano would be an interesting player up front because of his hands and energy. I cannot say enough how impressive he’s been over the last couple of seasons after playing just one NCAA game in 2013-14. 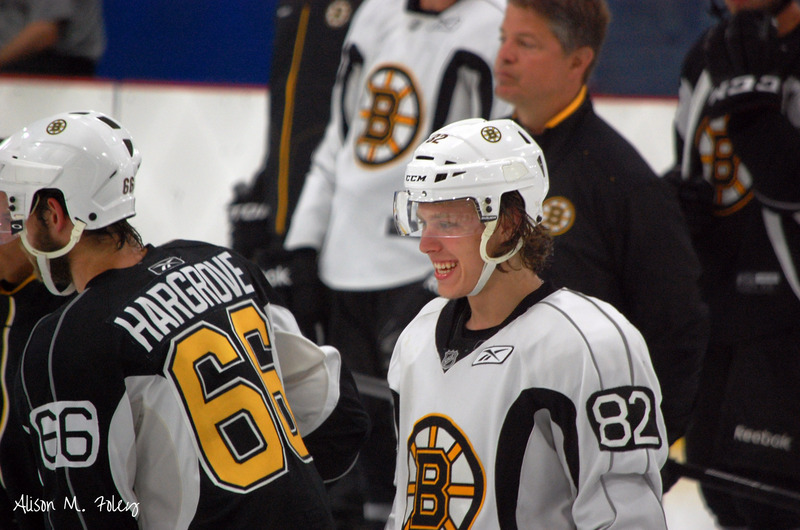 Realistically speaking, though- we’re probably not going to get a David Pastrnak-like breakthrough this year. Free agent Joonas Kemppainen was signed last spring on the heels of his Finnish league championship run. He’ll turn 28 this year and so I wouldn’t really call him a surprise- the B’s brought him on board I believe with every intention of getting him some time with the big club as a natural center who plays a strong three-zone game. If he makes the roster out of camp, it will be more by design than overachieving on his part. David Pastrnak is firmly entrenched on David Krejci’s right side for now, and I think the Bruins will try to capitalize on the potential those two have together, not just as fellow Czech Republic natives but because they both bring elite creativity and offensive vision to the mix and Pastrnak’s speed and tenacity is a perfect match for what Krejci brings when on top of his game. Matt Beleskey on that left side filling the spot vacated by Milan Lucic is a good call- he’s not as big as Lucic, but will bring the physicality to help address the loss of time and space ML17 used to bring. I’ve seen that Jimmy Hayes (normally a RW) is over on the left side flanking Ryan Spooner and Brett Connolly in early B’s camp sessions, and I think that is an intriguing trio for sure. I thought that perhaps the B’s would move Loui Eriksson over to the left side on third line to allow one of Connolly and Hayes to move up to the second line behind Pastrnak (if you slot the Krejci line at the top, that is). However, it looks like Claude Julien and Co. want to keep Eriksson with Patrice Bergeron and Brad Marchand, and Eriksson (a left shot) playing on his off-wing. What’s interesting to me about a Hayes-Spooner-Connolly third line is that this has the potential to be a model example of the new trend towards NHL clubs icing more of a top-9 attack, with three balanced and skilled scoring lines to aggressively attack opposing defenses as opposed to the older top-six/bottom-six design. Connolly was drafted 5 years ago to be a scoring wing, while Hayes is coming off a career-best 19 goals for Florida. 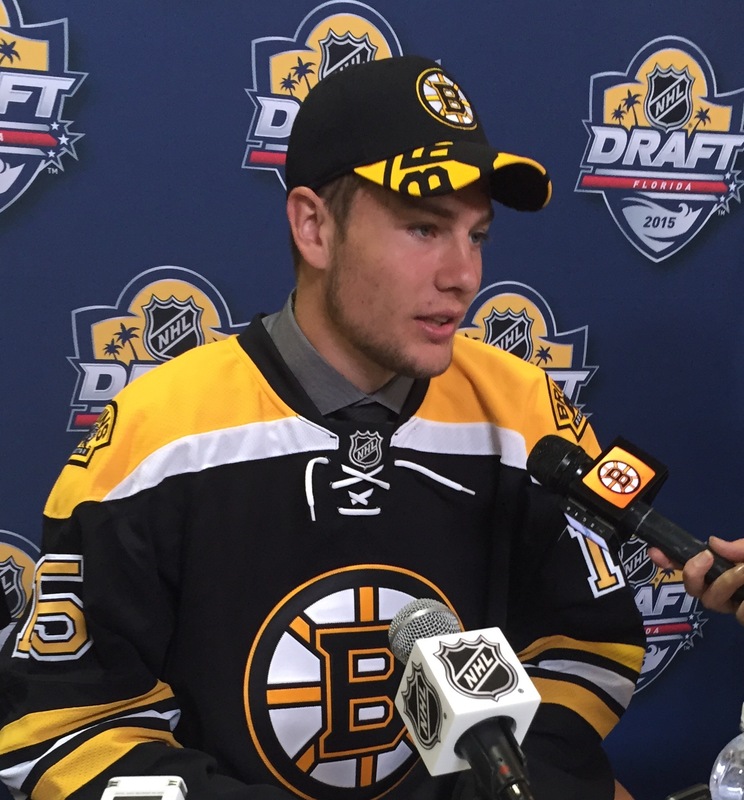 Spooner was taken in the same draft as Connolly, and believe me- it wasn’t to be a grinder. If the B’s can figure out how to get enough ice for all three forward units, that third line could give other teams fits, allowing a clamp-down line of Chris Kelly and Max Talbot (and Joonas Kemppainen?) to grind it out and spell the top-9 forwards. If Knight makes the NHL, it will be as a bottom-six, grinding forward in all likelihood. It’s been a tough road for him over the past three seasons, so the team did him a big favor by getting him out of there and providing a change of scenery. I thought he played with more confidence in the AHL when he went out West, and so I would not rule him out of eventually earning an NHL job. The issue with him is- will he ever justify his draft position as the 32nd overall selection? That might be a bridge too far, as he’s a rugged, hard-working winger but does not appear to have the natural scoring ability to be an NHL-caliber top two line guy. The deal appeared to be one of those “my bust for your bust” things- where neither Knight nor Zack Phillips, who was quite the hot shot going into the 2011 NHL Entry Draft, sneaking into the late first round, got off on the right foot and things seemed to compound for them. Phillips is more skilled than Knight is, but his lack of pure foot speed works against him. I expect Phillips to be a key cog in Providence’s machine this year, and who knows? If he’s productive enough, he might get a brief look at some point. Realistically, though, like Knight- Phillips is an unenviable position right now as a high draft pick who still needs to prove he can play at the AHL level before we even start talking about the NHL. I’ve known Knight since the B’s drafted him and he’s a quality person with a great attitude. If anyone can reinvent himself to be that gritty lower-line forward who skates up and down the wing and chips in some modest offense while playing a strong 200-foot game, it is him. I wish him the best. I think the signing made sense from a pragmatic standpoint- the B’s have an opening for a bottom-line center and the 27-year-old Finn has spent nearly a decade in the pro hockey circuit there, meaning that instead of taking an NHL-inexperienced skill player who is probably ill-suited to play the fourth-line center role as Alexander Khokhlachev is, they’re hedging their bets with an older, more mature player who is more refined and has the intelligence, size and pro hockey experience to come right in and not look too out of place. I don’t know how effective Kemppainen will be…the B’s have had mixed results when they have brought over older European forwards in the past, but I don’t buy the Carl Soderberg comparisons I’ve seen cropping up on the internet, either. Soderberg was talented, and a lot more was expected of him offensively, but he ultimately played too passive a game and his personality was not a great fit in the room. Kemppainen is quiet and perhaps shy, but I’m told by people who know him that he’ll earn respect because he’s willing to do whatever is asked of him. Plus, having Tuukka Rask around will help him adjust to North America and the B’s dressing room culture. I like the move- it’s a no-risk attempt to infuse a winner who possesses the size and two-way game (and perhaps some underrated offensive ability) on the checking unit without taking a square peg and forcing it into a round hole. This is not an indictment of Koko, but if people are honest with themselves, they know that expecting him to thrive on the fourth line when he’s a player who is at his best in scoring role (just don’t ask me who he’s going to beat out to provide that in Boston as of today) is a tall order. You don’t call an electrician if your toilet needs fixing…the same principle applies here, so Kemppainen seems like a much better fit at least to start the year. Whether he has the ability to keep the job, however…we’ll find out soon enough. I try not to set expectations on players today based on what others did in the past. Spooner is to be lauded for seizing the opportunity presented him at the end of last year to establish himself as one of the few bright spots on the 2014-15 Boston Bruins. Having said that, even though the two players’ (David Krejci and Spooner) numbers are similar at the same age and experience level, unless something happens to move Spooner up to the top two lines for a big chunk of the 2015-16 season, that 70 points is going to happen for him on the third line. He’s a talented player and if he gets 50 points on that third unit, it will be a big win. Scoring is so down around the league- Jamie Benn won the NHL’s points title last year with 87- so thinking that a third-line player on any team, let alone one that struggled mightily to generate consistent offense a year ago is going to hit 70 points in this current environment (unless there is a major swing of the pendulum that is) isn’t very realistic. I think the B’s would certainly entertain any offers they get for Malcolm Subban, but they aren’t just going to deal him for the sake of doing so. I’m also not sure Subban wins the backup job in Boston this year after as yet not having established himself as an AHL starter. I’m not a believer in young (and he’s not even 22 yet) goalies sitting and watching games as a backup during a critical development period in their careers, and I just don’t think the Bruins are going to put Subban in that situation when he could be starting and honing his technique/building confidence at the lower levels. As for trading Subban, I’ve said this before- the value they would receive for him right now is not likely to justify the effort. Hold onto him and see how he performs in this important third season since he turned pro. If a team comes along and wants to give the B’s a good return for him, they’d be silly not to consider it, but while I’m sure more than a few teams would be happy to take him off of Boston’s hands for a song, that’s what I believe they want to give up. That doesn’t help Boston. Remember- the B’s once hoodwinked Toronto in getting Tuukka Rask even-Steven for Andrew Raycroft. How did that work out for the team that gave up an at-the-time unproven goalie talent for an established commodity? Patience, young Grasshopper. Resist the urge to play fantasy hockey GM questing for shiny new toy returns and leave Subban where he is for now. The B’s used a top-30 pick on him for a reason. Carlo looks like the prototypical modern NHL defender: big at 6-foot-5, mobile, physical with a long reach and an ability to make a strong first pass. I’m not sure that I buy into the over-the-moon excitement I’ve seen about him in some circles on the Internet, however. Don’t misread that remark into believing I’m not high on the kid, but some fans have let the hype machine get out of control already, with some penciling him into the NHL lineup and I think we have to slow the roll on him. Given the other veteran and other pro defenders vying for spots, it would take a jaw-dropping camp and exhibition performance from the 18-year-old Colorado native to leapfrog some of the guys ahead of him on the depth chart. I fully expect he’ll be back in the WHL this year, but as a late ’96 birthdate, he’ll be eligible to play in Providence for the 2016-17 hockey season, at least. As for Carlo’s upside, he has a big shot from the point, but I wonder about the vision and offensive creativity that is needed to emerge as a true-blue, top two-way threat at the NHL level. Instead, I see Carlo as more of a solid middle pair defenseman who can shut down opposition offenses because he moves well and uses his stick and physical strength to keep forwards to the outside. He’s also on the snarly side and will be his team’s captain this year at Tri-City, so there is a lot to like about the kid. Just temper the expectations and don’t be in such a rush to see him in Boston- all in due time. Last season, the Boston Bruins got some surprising production from 2012 draft choice Seth Griffith, a former prolific goal scorer in the OHL with the London Knights before turning pro for the 2013-14 hockey season. Griffith, who was passed over in his initial year of NHL eligibility in 2011, overcomes a lack of size and dynamic skating ability with elite offensive hockey sense and a great set of hands. Fans will no doubt remember this beauty he scored last November against Cory Schneider and the New Jersey Devils. The finish is vintage Griffith, but the highlight also shows the lack of open ice foot speed and the difficulty he had in gaining separation once he blocked the shot and chased the puck into the neutral zone. Granted, the now-retired Bryce Salvador took a good angle in recovery, but Griffith would have gone in alone on Schneider if he was a faster skater. Instead, and what makes the goal all the more remarkable, is that he fought off Salvador and Marek Zidlicky to put the shot between his legs and under Schneider’s left pad for one of the prettiest goals of last season. Griffith has made a career of memorable goals, as he uses his keen offensive instincts, quick release and lacrosse background to pinball off of opponents and make scoring plays that other forwards aren’t capable of creating themselves. However, in the NHL, he won’t be faced with many opportunities like that one, where it all seemed to come together for him for a magical scoring chance. Ultimately, Griffith is going to have his hands full winning a job on one of Boston’s top-three scoring lines as we enter the 2015-16 NHL campaign. Your top spot is pretty well filled with David Pastrnak expected to build on a surprising and successful rookie season, one that saw him score 10 goals and 27 points in 46 games to finish out the second half of the year in Boston. Pastrnak will be given every opportunity to skate on that RW1 spot for Boston next season and if he stays healthy and all plays out the way the B’s expect, the 19-year-old will take another step forward in his development as the franchise’s next face up front. Loui Eriksson and Brett Connolly are solid bets for second- and third-line duty in Boston. Eriksson is coming off his best offensive season (22 goals) since 2011-12, when he tallied 26 goals and 71 points. He turned 30 in July, but he’s anything but past his prime. Eriksson has been a popular target of criticism in Boston since the trade that sent Tyler Seguin to Big D, and that’s understandable given that the 2010 second overall selection scored as many points (84) in his first full season with the Stars in 2014, as Eriksson has done in two seasons with Boston. Eriksson dealt with two concussions in 2013-14, but he re-emerged last season with some of his patented ability to make consistent plays on offense. It’s not enough for many Boston fans to accept that Seguin has tallied 74 goals and 159 points for Dallas since the trade- nearly a 2-to-1 advantage over Eriksson, but the veteran Swede often gets the short shrift in Boston for what he does well, which is a creative, opportunistic approach to scoring. His 22 goals was second only to Brad Marchand on the team last year (which is also an indictment of Boston’s popgun offense) and his 47 points trailed only Patrice Bergeron (ditto). GM Don Sweeney is in a tough spot with Eriksson- the unrestricted free agent-to-be will likely fetch a decent trade return as the season progresses, but timing is everything- pull the trigger on a trade too soon and you’re sending the message that the year is over. Wait too long, and you could end up like Tim Murray and the Buffalo Sabres with Chris Stewart last winter. Eriksson reportedly has a 14-team trade list, so any transaction Sweeney makes short of just riding it out and likely parting ways with him next summer is already constrained with only limited destinations. Connolly is the big wildcard for the Bruins entering the new year. I won’t go into as much detail, because I plan to dedicate a future and comprehensive blog post to him, but let’s just say that the B’s did not expend a pair of second-round draft choices on a player they expect to remain a third-line presence for them. The sixth overall selection in 2010 (just four spots behind Seguin for those keeping score at home) has yet to justify the faith Steve Yzerman and the Tampa Bay Lightning scouting staff had in him just five years ago, but the B’s signed him to a one-year “show me” deal valued at a little over $1 million. If that pure skating and sniping ability that manifested itself (in albeit a more limited sample size given the time he missed with a hip injury) during his WHL days with the Prince George Cougars starts translating in the NHL, the B’s could have two exciting right wingers in Pastrnak and Connolly. It’s an intriguing possibility, but not something you can take to the bank. To complicate matters (for Griffith), the B’s acquired the Boston-born-and-bred Jimmy Hayes on July 1, subsequently signing the 19-goal scorer with Florida a year ago to a three-year extension. They did not do that to stick the 6-foot-5 former Toronto second-rounder in 2008 on the fourth line, so it will be interesting to see what the team’s plans are for Hayes and in all likelihood- Eriksson. Something’s gotta give, and best guess is that the club will do some mixing and matching up front to start the season and see how the makeup looks before acting. Also on the Boston depth chart’s right side power winger Brian Ferlin, who is more of a natural fit for fourth line duty given his size, skating and modest (projected at the NHL level) ability to chip in offense. Someone, anyone, might earn some more playing time in Boston with a switch over to the left side, which enters the season with Matt Beleskey and Brad Marchand clearly entrenched on the top two lines, but only veterans Chris Kelly, Zac Rinaldo and Max Talbot as the other NHL-established players over there. Griffith has better offensive chops than both of them put together, but he’s nowhere near the defensive player and veteran dressing room presence. Based on Claude Julien’s body of work to date, unless injuries eat into Boston’s depth, does anyone realistically see Griffith beating those players out for a job out of camp? That leads us back to the gist of the post. With six goals and 10 goals in 30 NHL games last year, the potential is clearly there given his scoring upside. Working against Griffith is the fact that he does not possess the ideal traits that Cam Neely and Sweeney have said they want to employ in Boston- to be a bigger, faster, harder to play against club. That’s what the guys ahead of Griffith on the current roster projections possess in terms of natural tools, so the 22-year-old has his work cut out for him this year. Sweeney once told me during a break in the action at the annual Flood-Marr prep tourney at Noble & Greenough School a few years ago that he admired Griffith’s “dog on a bone” mentality when it comes to scoring. He was referring to the fact that although Boston’s fifth-round choice does not have the natural size/strength to win a lot of board battles, nor the pure explosion and separation gear to put defenses on their heels, he nonetheless brings a tenacity and inner fire to out-hustle opponents and find ways to get the puck in the net. In two pro seasons split between Providence of the AHL and Boston, Griffith has scored 32 goals in 108 minor league games. That’s something you don’t just give up on. At the same time, Griffith is going to want a chance to play in the NHL sooner rather than later. That might just make him an attractive trade chip to include in a larger package at some point to help shore up Boston’s team where it is needed most: on defense. David Pastrnak is back in Boston, as he showed up this week for the annual pre-training camp captain’s practice sessions, which sees the gradual return to the ice of Bruins players. Pastrnak’s arrival so soon (we’re still a little more than 2 weeks from the time the veteran players are required to report) is an indicator of the young forward’s seriousness, though it’s not all that surprising to those who know him. Last year, Torey Krug went out of his way to talk about how dedicated the NHL’s youngest player was (he didn’t turn 19 until May- a month after the B’s packed up and headed home), showing a maturity beyond his years. Some people like to talk about how hard they work, but Pastrnak goes out and does it. When character guys like Krug notice that, then you know you’re doing something right. I said in my 2016 Bruins season preview series that Pastrnak is the player Boston has been waiting for, and that’s more and more evident by the day. He’s arguably the most purely talented player on the roster, but his humility, enthusiasm and love for what he does provides the best possible example for everyone around him, from rookie to veteran alike. He’s up to about 180 pounds, which will better help him to endure the rigors of the 82-game regular season schedule plus exhibition and potentially more in the playoffs (if the Bruins get in). That’s a good weight gain that gives him a good starting point going into camp. With his body type, he’ll likely lose more over the course of the season- every little bit will help him in the corners, along the walls and in front of the net. I profiled Pastrnak a year ago in January, right after his outburst of 4 goals in a two-game stretch that secured his place with the big club for the duration of the 2014-15 hockey campaign. For a guy who was still trying to figure out the English thing, I thought he was extremely well spoken, and he reminded me of a young David Krejci, who despite a thick Czech accent and near-whisper when he spoke, said some of the more profound (by hockey dressing room standards) things of anyone on the roster circa 2008-10. Growing up in the one-rink coal-mining town of Havirov, Pastrnak rode the city bus to practice and games, sometimes wearing his gear and carrying his skates and stick. As long as he could get to the rink on time, it didn’t matter to him how he got there. Now, at 19, he’s on the verge of something special in Boston. Those cynics who want to waste their time cracking wise about the Bruins now being primed to trade him can chortle and giggle at their so-called cleverness all they want, but they miss the point entirely about what the management team is trying to do. Just as the club once cultivated and groomed a young teen named Patrice Bergeron to be a key contributor and leader, they are doing the same for Pastrnak. Unlike former Bruins Phil Kessel and Tyler Seguin, Pastrnak has given the team myriad reasons to hold onto him and invest the millions going forward that it will take as he matures into a league star. The other two are stars as well, but for whatever reason, they either could not or would not embrace the ethos that right or wrong, the Bruins expected them to. Pastrnak doesn’t have that problem. He is a player everyone can get behind.